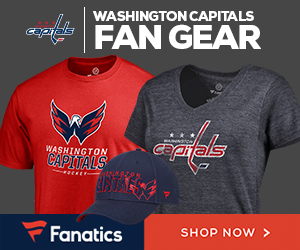 At the Capitals’ most recent blood drive, on July 28, all donors were given a free Matt Hendricks t-shirt and bobblehead. 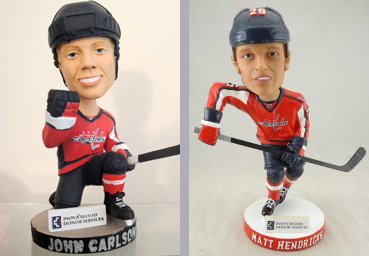 While the bobblehead has already hit Ebay for the high price of $150, we couldn’t help but notice the similarities between this rugged winger and a certain American defenseman in John Carlson. Looks like we may have a new set of twinsies on the team. 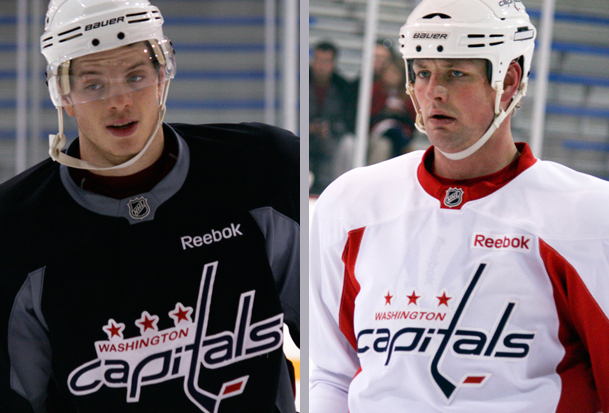 The real John Carlson (left) and Matt Hendricks (right), to compare. Looks like they're as confused as we are.